There may be no known cure for rosacea (yet), but there are various treatments to help keep symptoms under control. In the first of our two-part blog, we look at prescribed treatments. 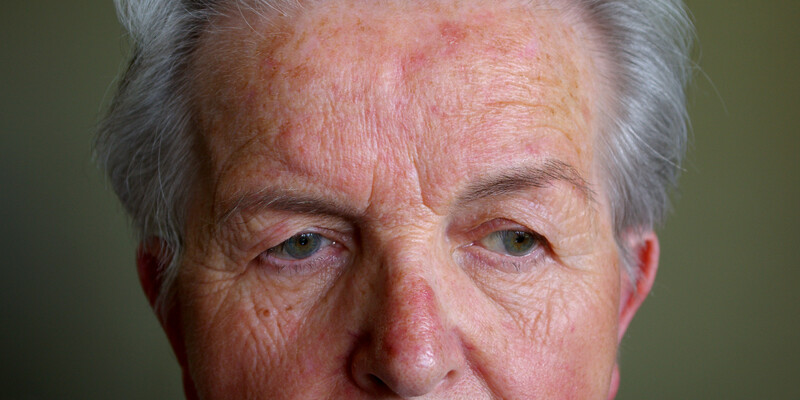 Rosacea rarely causes pain and itchiness, and serious complications are rare. But it can be unpleasant, distressing and unsightly, causing people to suffer from a lack of confidence and even depression. The good news for sufferers is that, while there is no cure, there are many effective ways to manage rosacea. Various treatments are available which can relieve the symptoms, ranging from topical treatments (applied to the skin) and oral medications (by mouth) to lifestyle changes. Medications applied directly to the skin can help reduce inflammation and redness. This is usually the first resort for mild rosacea. They may be applied to the skin once or twice daily, and are usually used in combination with oral medication. In some cases, camouflage creams can be prescribed to mask skin disfigurement. Common “topical medications” include antibiotics, tretinoin, metronidazole and azelaic acid. Evidence suggests azelaic acid can be more effective than metronidazole, but it can also cause more side effects, including skin irritation, itchiness or dry skin. Despite daily application, it can sometimes be several weeks before you notice significant improvements in your rosacea symptoms. Brimonidine tartrate is a relatively new gel for treating facial redness. 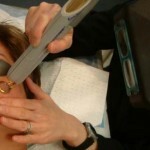 It restricts the dilation of blood vessels in your face, however may only last for 12 hours. Pills, tablets and capsules can be prescribed to keep anti-inflammatory signs under control. Oral antibiotics are also considered to provide faster results than topical antibiotics. Tetracycline, minomycin, oxytetracycline, doxycycline and erythromycin are typical examples – however tetracyclines are not suitable for pregnant or breastfeeding women and can interfere with oral contraception. These medications are typically prescribed for four to six weeks – longer if necessary. Side effects can include nausea, diarrhoea, bloating, indigestion and loss of appetite. There are also a number of oral medications that can improve redness caused by rosacea, including clonidine (which relaxes blood vessels), beta-blockers, and anxiety medication. Oral isotretinoin is occasionally used for resistant cases. This medication is normally used to treat severe acne, as it limits production of oil by the sebaceous glands. Side effects are mild, including dryness and cracking of skin, lips and nostrils, eye inflammation, headaches, muscle and joint pain, back pain, and blood in the urine. Eye drops can be applied to relieve eye symptoms. A common steroid eye drop is Blephamide. For more serious eye problems, you may need referral to an eye specialist. In addition to professional oral and topical treatments, rosacea patients should also look at how they can adapt their diet, lifestyle and skincare routine to further control signs and symptoms. Diet changes: In some cases, alcohol, caffeine and spicy foods can be triggers of rosacea. So avoiding these things in your diet can help manage the symptoms. Lifestyle changes: Sunlight and stress are thought to contribute to rosacea, so changes in lifestyle can help manage the symptoms in combination with other treatments. 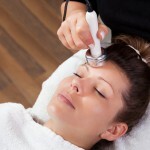 Skincare regime: It’s important to adapt skincare to meet the skin’s delicate state. Avoid products with harsh chemicals, alcohol and fragrances, as these ingredients can irritate and inflame the skin further. Calming antioxidants, like vitamin E and green tea, are recommended. Remember, left untreated, rosacea can get worse over time. Speak to Sydney Dermatology Group for more information about rosacea treatment options.